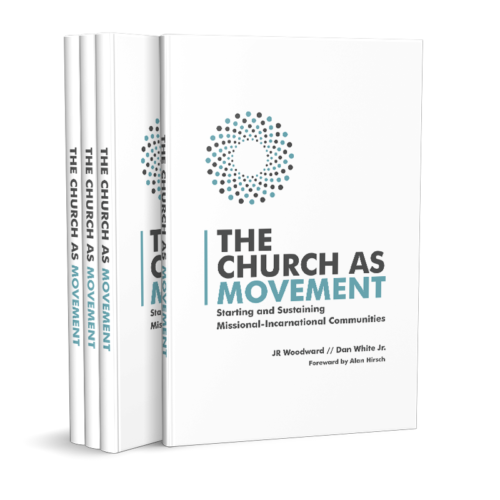 This is a guest post I wrote on my husband’s blog (bensternke.com) reviewing the new book Church As Movement by JR Woodward and Dan White Jr. This post is a part of a blog tour of reviews for the book. I had an opportunity to share on the V3 blog about 4 Things I Wish I Had Known Before We Planted A Church. I remember the conversation like it was yesterday. It was one of those turning-point conversations that seemed small in the moment but ended up being very significant. I was finishing up some dishes in the kitchen after a long day with our four kids. My husband brought it up slowly. I have a feeling God is asking us to plant a church . . . What do you think? Blank stare. Jaw drops. Anxiety flooded my heart, making me quite nauseous as I loaded the last plate into the dishwasher. Having been in ministry for a while, I had seen lots of trying situations for people leading churches. In my mind, planting a church meant work that never ended. It meant struggles, conflicts, disappointment, and hardship. I did not want to go there. Long story short, after lots of wrestling, surrendering, and seeing God’s vision for the body of Christ, we planted our first church in northeast Indiana in 2008. We were working to plant a community that had discipleship and mission at its core. It was a difficult but amazing journey. And guess what. We’re planting another church—this time with some good friends in the Indianapolis area. We learned that planting is a lot of work and that there’s real wisdom in going out in pairs.